Mobility classifieds are a quick and convenient way to find a buyer for your used mobility equipment. Likewise, if you are looking to purchase a used wheelchair, scooter, ramp, or accessible vehicle, perusing classified ads can help you find the mobility equipment you need at an economical price. If you are looking for advertising sources to list your used equipment, you'll find a number of cost-effective options. 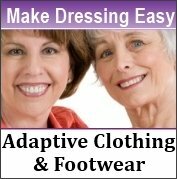 Many non-profit and advocacy organizations for the disabled feature publications or websites that run classified advertising for free, and often for as long as 90 days. Internet classified websites like Craig's List provides no-charge listings or inexpensive rates for advertising that can be targeted geographically. 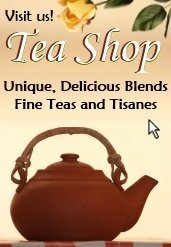 In addition, nearly all city and community newspapers have a classified listings section on their website where you can place your ad, in addition to advertising in the newspaper's printed classified section. 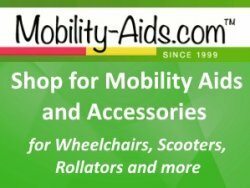 In addition, auction sites such as eBay and OnlineAuction may also serve as resources for buying and selling mobility equipment. When shopping in the classifieds or an online auction site, keep in mind that the website, organization or publication where an ad appears is not responsible for the accuracy of the product description - or the reliability of the equipment being advertised. It is simply a facilitator for bringing a buyer and seller together. When you find equipment in which you are interested, you will deal directly with the private seller. First, confirm that the equipment is the right size for you and offers the features you need. Then, be prepared to ask a number of questions about the age, condition, usage, maintenance, repair history, and functionality. Inquire about any existing warranties and find out where the equipment was purchased and where it has serviced. As with buying any product through a classified ad, while most people are honest, there is always the danger of misrepresentation. Therefore, be sure to personally test the equipment and/or have it thoroughly checked by an expert before finalizing your purchase. Do not give out personal or financial information during the transaction. And always have a written bill of sale that documents the purchase for the benefit of both the buyer and seller.